The Smithsonian’s Hirshhorn Museum and Sculpture Garden has announced a gift of more than 50 major historical artworks, including more than 35 seminal works, by pioneering artist Marcel Duchamp from Washington, D.C., collectors Barbara and Aaron Levine. The works will be complemented by 15 portraits, related photographs and works on paper by Duchamp’s contemporaries as well as those he influenced, including Man Ray, Tristan Tzara, Henri Cartier-Bresson, Diane Arbus and Irving Penn, among others. The donated collection was gathered by the Levines over a period of two decades. Comprising works from the entire range of Duchamp’s artistic output, this selection demonstrates Duchamp’s influence on the development of art over the past century. Timed to the 50th anniversary of the artist’s death, this gift will transform the Hirshhorn’s Duchamp holdings from a single, late sculpture into one of the most important, in-depth institutional collections of his work in the U.S. The promised gift will also coincide with an exhibition examining the artist’s artistic evolution opening fall 2019. In addition to the artworks that will enter into the museum’s collection, the Levines are also donating their library of more than 150 books on Duchamp, dating from the late 1930s through the present. Among the volumes are a number of first editions, rare catalogs and ephemera. Together, the artworks and texts will establish the Hirshhorn as one of the foremost Duchamp study centers, making it a vital resource for students and scholars worldwide. 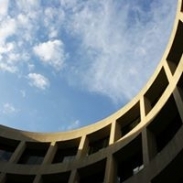 “We have been collecting conceptual art for a good part of our lives and have been involved with the Hirshhorn for nearly 20 years,” said Barbara and Aaron Levine. “This donation of art gives the public access to our collection of Duchamp works that we have lived with and loved. A free museum with nearly 1 million visitors a year is the perfect home for these art works.” Barbara Levine is trustee emeritus, after serving as a trustee between 2000 and 2012. Reflecting almost two decades of thoughtful acquisitions, the Levines’ collection spans the entire arc of Duchamp’s career and includes examples of every major body of work by the artist. At the core of the collection is an exceptional selection of his iconic ready-mades, including “Hat Rack,” “Comb,” “Apolinère Enameled,” “With Hidden Noise,” “L.H.O.O.Q.” and “Why Not Sneeze Rose Sélavy,” which together demonstrate the ways Duchamp worked to elevate ideas and choices over hand craftsmanship and beauty. This challenge to longstanding conventions is also seen in Duchamp’s “Box in a Valise,” a masterful compendium of miniature reproductions of more than 60 of the artist’s most iconic works, embodying the diversity of Duchamp’s artistic originality. Key works on paper, such as “Female Hanged Body,” “Study for the Bachelors in the Cemetery of Uniforms and Liveries” and “Nine Malic Moulds,” provide unique insight into to Duchamp’s working process. Further awareness of his practice is revealed by “The Bride Stripped Bare by Her Bachelors, Even (The Green Box)” and “In the Infinitif (The White Box),” which together contain more than 150 facsimiles of Duchamp’s working notes for “The Large Glass,” all left loose so that their relationships are determined anew according to the unique choices made by each reader. The Levines’ collection of Duchamp artworks is among the most significant in private hands, and will establish the Hirshhorn as not only the preeminent Duchamp resource in the mid-Atlantic region, but also one of the most extensive public collections in the United States alongside those of the Philadelphia Museum of Art and the Museum of Modern Art.